We blog about real estate related topics including home inspections, buying tips, selling tips and more. There were 162 New Lenox homes for sale in January, down 16.5% from January 2015, with 194 homes for sale. There were 27 homes closed in New Lenox during January 2016, up 8% from last year with 25 closings last January. THIS REMARKABLE PROPERTY FEATURES 4 BEDROOMS EACH W/ PRIVATE FULL BATH, 5.5 TOTAL BATHS & SITS ON A WOODED 0.6-ACRE * BRAND NEW ROOF 2012 * 700+ SQFT 3-CAR TANDEM HEATED GARAGE * 3 WOOD-BURNING FIREPLACES W/ GAS LOGS * GRANITE COUNTERS* HARDWOOD FLOORS * MAIN FLR MSTR SUITE * LAUNDRY ROOMS ON MAIN LEVEL OFF MASTER & 2ND LEVEL * 2 BOSCH DISHWASHERS * 5 ZONES HEATING (INCL GARAGE) * 3 ZONES COOLING * SCREENED 3-SEASON ROOM * SPACIOUS FINISHED BASEMENT (2400+ SQFT) * 10FT CEILINGS * PROFESSIONALLY LANDSCAPED * BRICK PAVER DRIVEWAY * 2 NEW 50 GALLON WATER HEATERS 2012 * REVERSE OSMOSIS WATER SYSTEM * RECIRCULATING INSTANT HOT WATER SYSTEM * DUAL BATTERY BACKUP SUMPS * SECURITY ALARM W/ SMOKE DETECTION & TEMPERATURE/WATER SENSORS * SOLID OAK PANEL DOORS * CENTRAL VACUUM * CENTRAL INTERCOM & MUSIC SYSTEM THROUGHOUT HOUSE * 6 SKYLIGHTS * 3 APRIL AIRE HUMIDIFIERS * KNOX SECURITY BOX * DOUBLE OVEN * GE BUILT-IN SIDE-BY-SIDE REFRIGERATOR & FREEZER W/ WATER & ICE MAKER * CUSTOM BUILT PROPERTY! © 2016 Century 21 Real Estate LLC. All Rights Reserved. Century 21 Real Estate LLC fully supports the principles of the Fair Housing Act and the Equal Opportunity Act. Each CENTURY 21® Office is Independently Owned and Operated. 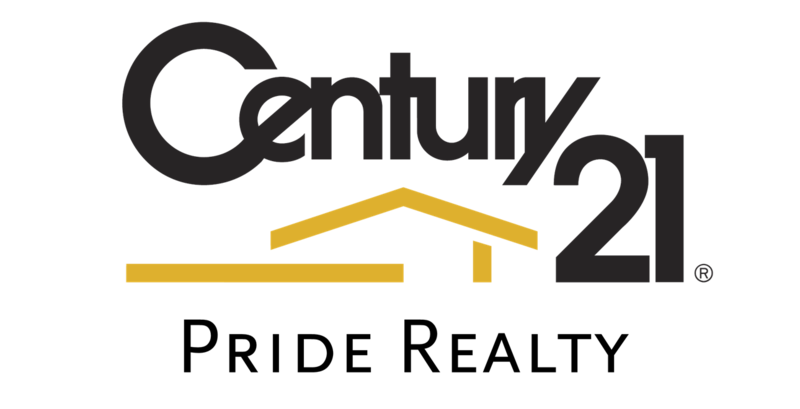 CENTURY 21® and the CENTURY 21 Logo are registered service marks owned by Century 21 Real Estate LLC and used by Properties Online, Inc. with permission. Website hosted by Properties Online, Inc. There were 165 New Lenox homes for sale in December, down 13.6% from December 2014, with 191 homes for sale. There were 26 homes closed in New Lenox during December 2015, down 33.3% from last year with 39 closings last December. Have you heard about the FHA 203k Renovation Loan Program? While looking for a home have any of the below scenarios happened to you? - You love the location of a home but it doesn't have an open concept. - You want to just move right in and not have to change the carpet or update the kitchen. There were 185 New Lenox homes for sale in November, down 15.1% from November 2014, with 218 homes for sale. There were 29 homes closed in New Lenox during November 2015, up 26.1% from last year with 23 closings last November. There were 187 New Lenox homes for sale in October, down 21.1% from October 2014, with 237 homes for sale. There were 42 homes closed in New Lenox during October 2015, down 14.3% from last year with 49 closings last October. With winter right around the corner there are some steps you should take to get your house cold-weather ready. Below are a few suggestions we have put together to help you out. FHA (Federal Housing Administration) is a loan that is insured by the federal government. These loans require a lower down payment for the buyer which can really help especially for first time home buyers that may not have a lot of money saved up. There were 199 New Lenox homes for sale in July, down 18.8% from July 2014, with 245 homes for sale. There were 44 homes closed in New Lenox during July 2015, down 21.4% from last year with 56 closings last July. Trying to figure out some different things you can do before summer is over? Below is a list we put together to help you! There were 207 New Lenox homes for sale in June, down 13.4% from June 2014, with 239 homes for sale. There were 68 homes closed in New Lenox during June 2015, up 17.2% from last year with only 58 closings last June. There were 191 New Lenox homes for sale in May, down 14.7% from May 2014, with 224 homes for sale. There were 53 homes closed in New Lenox during May 2015, up 29.3% from last year with only 41 closings last May. There are an endless amount of situations that can pop up during a real estate transaction. First, we need to find our buyer a property. While some buyers find their dream house within the first couple times they go out there are also some buyers that have a harder time and an agent can show them 40-50 properties or more spanning over a time frame of many months. We get asked quite a bit on short sales and what exactly do they mean. Basically, a short sale just means that the homeowner owes more money than what the property is worth. Short sales are also used as an alternative to a foreclosure which is when a property becomes bank-owned. There were 186 New Lenox homes for sale in April, down 15.1% from April 2014, with 219 homes for sale. There were 40 homes closed in New Lenox during April 2015, down 7% from last year with only 43 closings last April. There were 185 New Lenox homes for sale in March, down 11.5% from March 2014, with 209 homes for sale. There were 34 homes closed in New Lenox during March 2015, up 47.8% from last year with only 23 closings last March. The spring market is here! Soon you will be seeing many new properties coming on the market. If you are thinking of listing your property now like many others there are a few things your should consider. There were 176 New Lenox homes for sale in February, down 2.2% from February 2014, with 180 homes for sale. There were 29 homes closed in New Lenox during February 2015, up 45% from last year with only 20 closings last February.